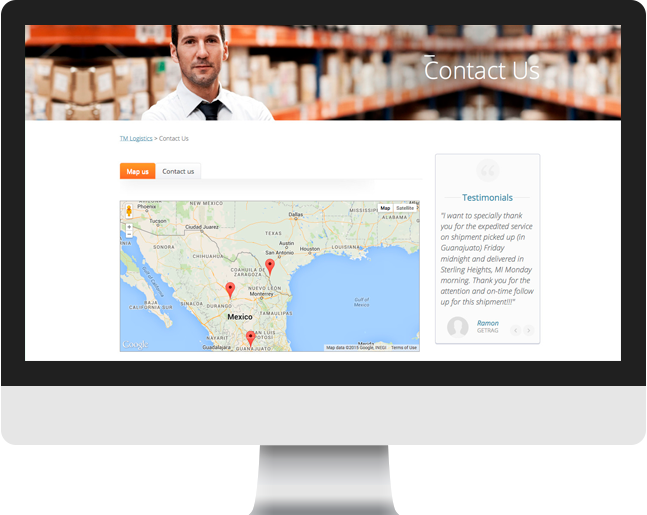 Headquartered in Laredo, Texas, with offices in several major cities in Mexico, TM Logistics provides a full suite of 3PL transportation and logistics services to clients and customers worldwide. 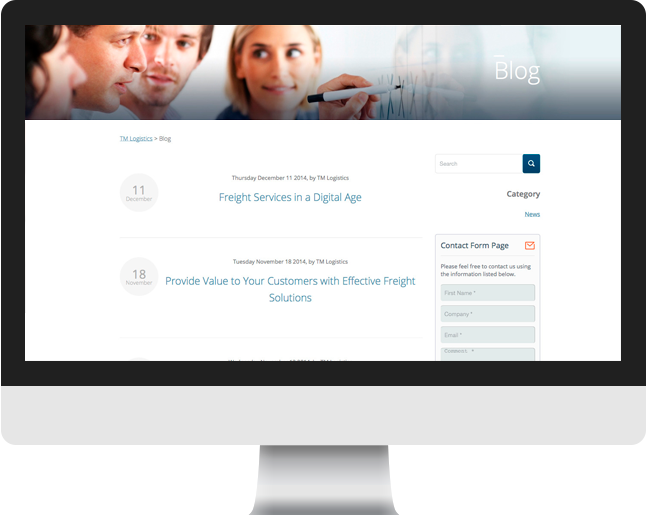 Cultura Interactive was hired by TM Logistics to redesign their existing website design and create a modern, clean and attractive new look to showcase their services. Planning way beyond web design is key when creating a successful website. 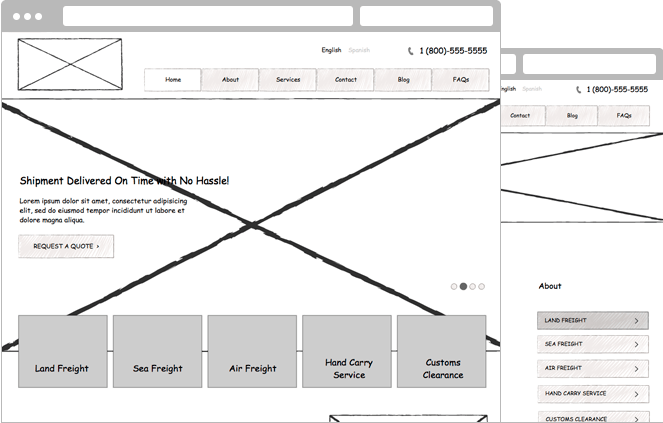 As a result, we created a wireframe that fulfilled the company’s objectives from phone to tablet to desktop. Everything works better with responsive web design. In order to provide an optimal viewing experience, our team of skilled professionals created a website that works seamlessly across a wide range of devices. This makes it easier for users to access and download important documents and contact forms while on the go. 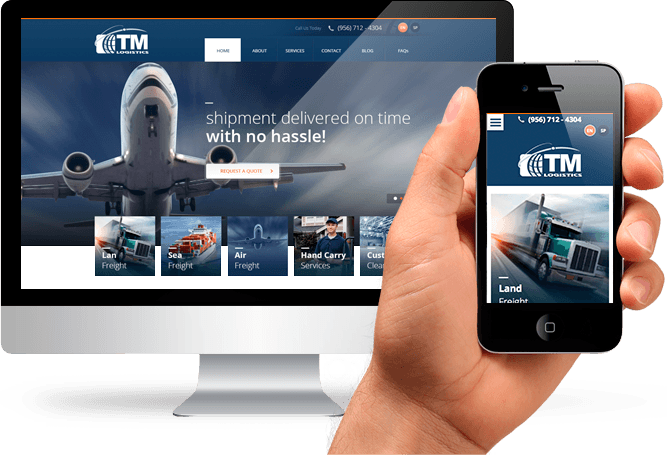 TM Logistics’ main goal was to improve communication with users, and provide an easy and fast way to update information on web pages with the use of a Content Management System. 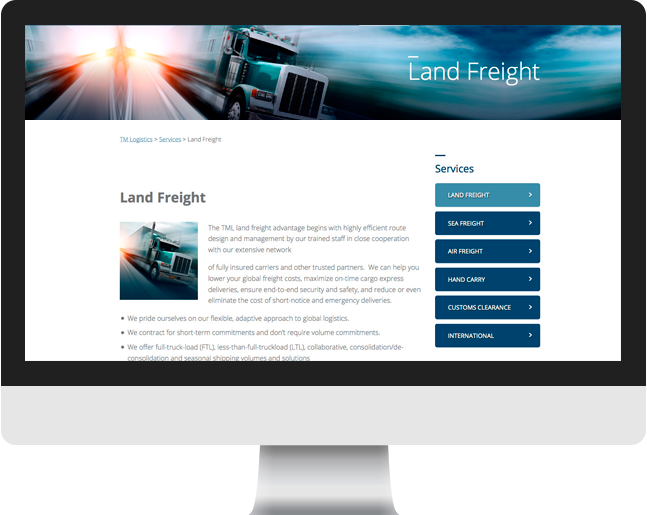 Their new website was designed using a custom WordPress theme with simple navigation and attractive design. We also implemented a more intuitive way to switch between English and Spanish versions of the web pages.